There aren’t many people who have made the leap from the particle physics lab to becoming a global investment strategist. But any who have tend not to be a woman. Anne Richards, the Chief Investment Officer and a main board director for Aberdeen Asset Management, has a CV that impresses. Not least because she started out her career at Cern, the European Organization for Nuclear Research. An electronics and electrical engineering graduate, the Edinburgh-born Ms Richards worked on the collider that existed before the celebrated Large Hadron Collider was built, called the Large Electron-Positron Collider (Lep). She speaks fondly about her time working 330 feet under the border between Switzerland and France. She said she visited there just a few weeks ago, now in her role as chairman of Cern’s education foundation. But spending a lifetime there wasn’t meant to be. “It was one of those moments of being honest with yourself. I realised – fabulous as Cern is, it wasn’t the right place for me,” recalls Ms Richards. “When we were constructing the bit of kit I was working on, I asked how long will it take us to find this particle?,” she says of the research station’s mission – which she notes wasn’t even then called the Higgs Boson. “One of the guys told me it will take about 30 years, which was just about spot on. Returning to the UK, she was surprised how much she enjoyed a course she took in accounting and finance. This led to studying for an MBA in France at Insead, where she was even more surprised to discover a fascination for financial markets. 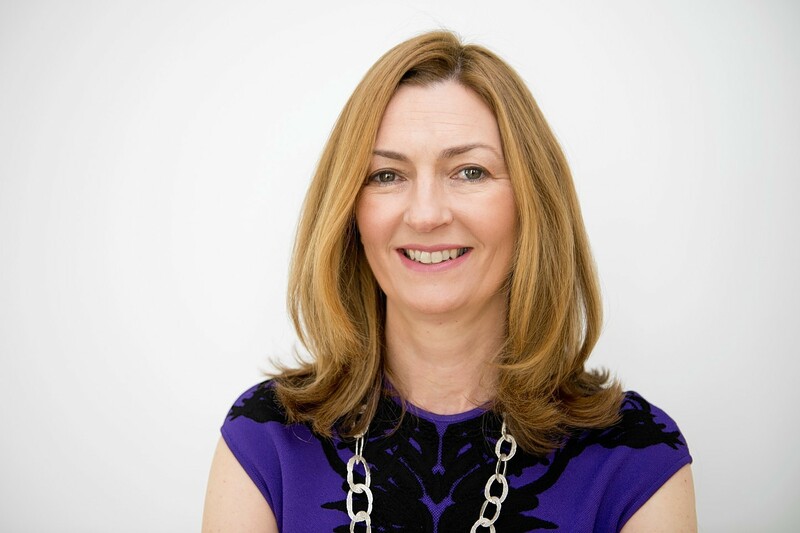 Eventually she “fell into” fund management, and joined Aberdeen Asset Management when its chief executive Martin Gilbert acquired Edinburgh Fund Managers, where she was the managing director. But it has to be asked – what do particle physics and financial markets have in common? “Not a lot,” she admits. “In physics there are underlying rules. We don’t understand what they all are, but they are there. Sceptical of the reduction of finance to mere number crunching, she believes human behaviour is a significant factor behind the mysterious hand of the markets. One of the areas she’d like to see change is how companies govern themselves – which as the head of Aberdeen’s £323billion pool of assets – is something that is widely listened to. For example, she is a member of the steering committee of the 30percent Club, a group whose aims is to see more women on company boards. Ms Richards is keen to stress she would like to see more diversity in general – which also takes in race, age and culture as a factor when corporate boards look to fill roles around the board table. The latest report from Cranfield University, which tracks the number of women on FTSE 100 company boards, found progress has been made – but more slowly than groups such as the 30percent Club would like. She is aware of the challenge, but takes a pragmatic approach. She recalls her mother, who completed her law degree in 1955. “That was already pretty early. When you think that women got the vote just five years before she was born, we have come a very, very long way. “We are making progress. But it is not a straight line and sometimes it is two steps forward and two steps back. But does she bring these values to the companies that her firm invests in? As the strategist behind Aberdeen’s investments, she can bring much to bear on the stakes her firm holds. “We wouldn’t describe ourselves as activists, we are active and engaged,” she says. “When we buy shares in a company it is something we have done after a huge amount of thought. “Once we have got our position we view ourselves as aligned with that company. We want to make sure they continue to do the best thing. She works mainly from the firm’s offices in Edinburgh, and we meet in the boardroom on the sixth floor of a building what has stunning views of the capital’s skyline. Outside of the board room, there is the sound of corks popping. It is a Friday afternoon, but it’s not just an example of high finance hedonism. Instead, it is bringing together two teams into one. Since Aberdeen took over the rival fund manager, Scottish Widows Investment Partnership in a £550million deal last year, the two firms have been settling in together. If you were a character in history or fiction, who would you be? Eleanor of Aquitaine. What I really admire about her, in a time when it was easy for women in history to be treated as public goods, she took her destiny into her own hands. She had power and she wasn’t afraid to wield it in a way that was important to her. She had strength, judgement and power. She wasn’t willing to be sidelined. What do you still hope to achieve in business? I’ve never had a career plan or a wish list of things I want to do. What’s important to me is I’m given the freedom to do the things in my job I love doing. By the time I hang up my boots as an executive – which I hope is a number of years down the line – I’d love to see more women in my position. I’d love to see a much better ethnic and cultural mix. I’d love to see our society better reflected in positions of influence and power. What kind of car do you drive and what do you dream of driving? I drive a Kia Picanto. Mostly I walk into work. But we did hire a Volkswagon Golf Convertible on our family holiday and I liked driving that. I do different things at different times. I was on the board of an international development charity called EveryChild for nine years. It is based on the belief that children have the right to grow up in a loving family environment. They have done remarkable work for many years. Closer to home I am the vice convener of Edinburgh University.